Friday, May 19, 2017 — This is my friendly response to the article “14 Must-Visit Museums in Los Angeles” which failed to mention the Autry Museum of the American West! For reference, here is a link to the article, from the KCBS Los Angeles website, from May 14. 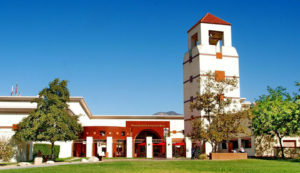 The Autry Museum of the American West. 1. The Autry Museum of the American West is the preeminent exponent of the cultural heritage of our own community, state and region. It proudly displays our home culture on our home turf. 2. Its exhibitions of drawings, paintings and sculpture include works by artists of the past and the present, which shows how enduring are the visual themes of the West. 3. The Autry Museum’s hands-on displays are fun and informative. There is one where you actually practice panning for gold and another where you can reproduce authentic radio show sound effects. There is also a fully equipped chuck wagon, a green screen tv studio corner where your friends can see you and take video of you against different western backgrounds, a real travel trunk full of pioneer clothing, and more. 4. The Western Music Association’s monthly performances of western songs and cowboy poetry, every third Sunday of the month, are always a treat for everyone. The performers come to share their favorite poems and songs for us with great love and respect for the traditions. Part of the California Yarnscape Workshop on display outside the Café. 5. The Autry Museum has all kinds of fun exhibits that include materials that are sometimes unusual for traditional museums, such as PLAY! 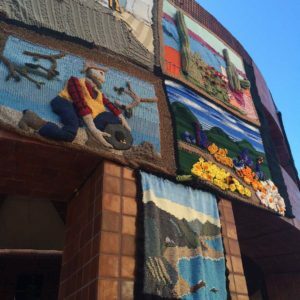 and the California Yarnscape Workshop. 6. There are very personal accounts of important individuals such as Mabel McKay. 7. It is very well set up for children and families. It is the destination for a lot of school field trips, where the museum and teachers integrate the arts into the instruction of many other subjects like history, language and ecology. 8. 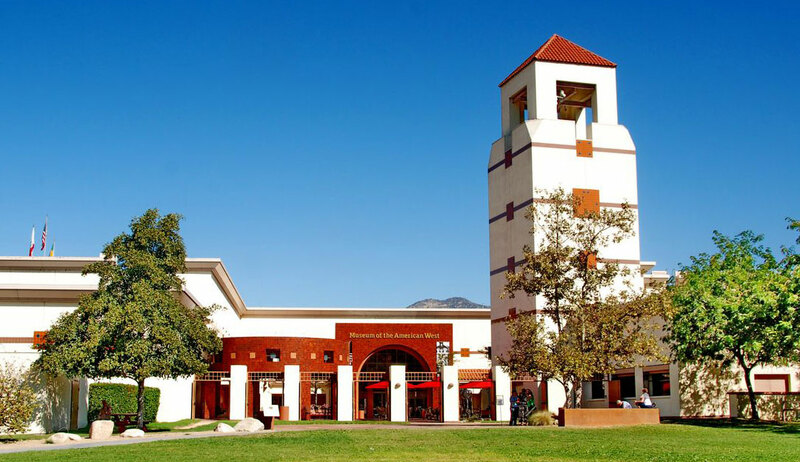 The Autry Museum includes art and information from all kinds of people who have populated the West; Native Americans, Spanish, Mexican and all others, including the collection of the Southwest Museum Mt. Washington Campus. The museum makes a conscious and explicit effort to include all communities and to foster open communication and understanding among all. 9. The museum has an extensive searchable online catalog with images. 10. The Autry Museum shows that its connection to nature is very close, with the outdoor native plants garden, other sustainable native plants all around the grounds and the California Road Trip dual projection film exhibit. Statue entitled “Checkmate” by Herb Mignery, in the Autry Museum. 11. 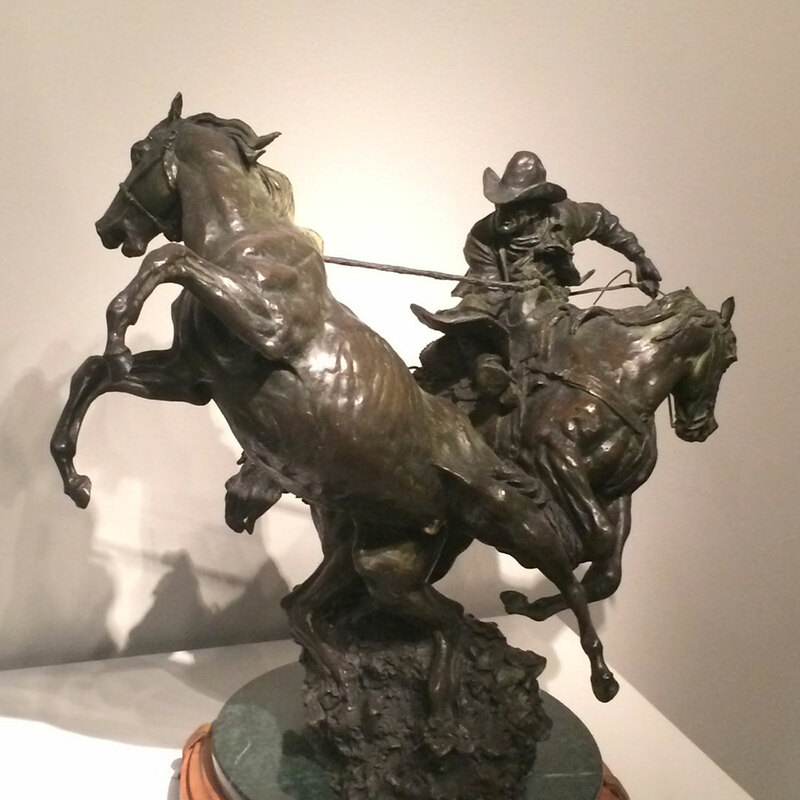 There are many works in the Autry Museum collection that depict horses, in statues, paintings and drawings. The depiction of the equine form has been an area of development of artistic technique ever since the Lascaux caves, through the Renaissance and down to the present day. Many works in the museum’s collection show how Western artists have mastered the technique of depicting horses. 12. The Autry Museum does a lot of active community outreach work. 13. An ongoing film series highlights the greatest and most interesting Western films. 14. The museum has high ratings and nice comments on Trip Advisor: http://bit.ly/2rBfJYq.